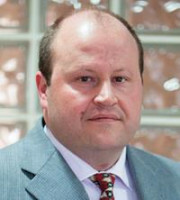 Rafael Tögel is a partner of Bhering Advogados’s patent department. Mr Tögel has both German and Brazilian citizenship and a strong German educational background. Mr Tögel has a degree in mechanical and industrial engineering (Dipl Ing FH), specialising in pharmaceuticals and chemicals, from the University of Kempten, Germany. Mr Tögel also holds an MBA in business management (Ibmec, Paraná) and a postgraduate degree in intellectual property and e-commerce (Universidade Positivo, Paraná). Mr Tögel worked for many years in the R&D department of two multinational companies before joining Bhering Advogados. He is responsible for both local and international clients and specialises in drafting patent applications, particularly in the chemical, pharmaceutical and mechanics fields. He is also one of the coordinators of Bhering’s internal patent translation department. Mr Tögel is fluent in English and German. His solid knowledge of Brazilian, German and European patent laws and practice is greatly advantageous when dealing with the firm’s German and European clientele.